The 2017 Education Champion call for nominations is now open! The School on Wheels Education Champion Award is a tremendous opportunity to acknowledge a deserving youth worker or educator who is making an impact on Indiana students. 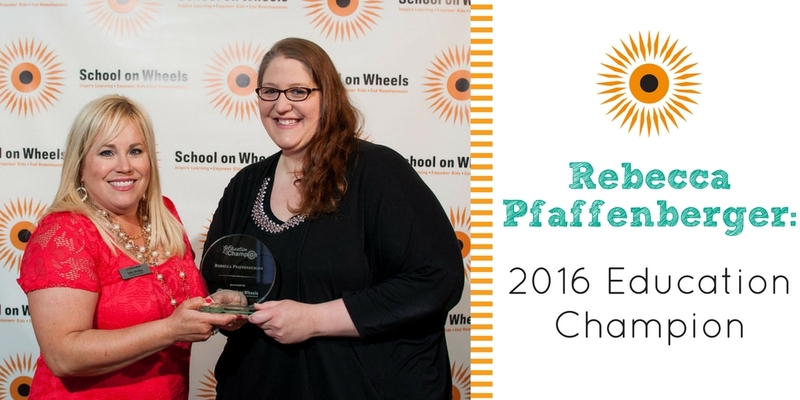 The 2016 Education Champion was Indianapolis middle school teacher, Rebecca Pfaffenberger, who transforms the lives of her students every single day! Education happens both inside and outside of the classroom. Luckily for middle students at Rousseau McClellan Montessori School #91, they have Rebecca Pfaffenberger – or Ms. P as she’s affectionately called — who understands very well all that goes into a rich academic experience. 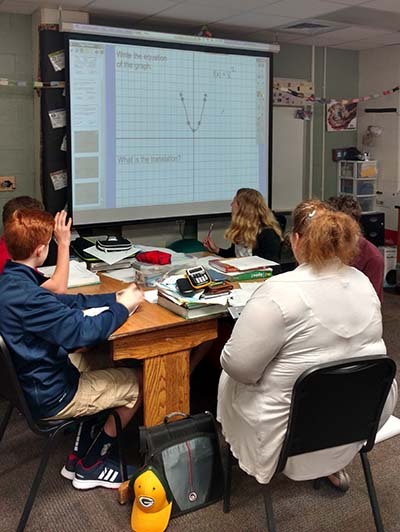 Over the last 18 years of teaching, 17 of which have been at Rousseau McClellan, Ms. P has taught every subject to middle school students, eventually landing on mathematics. She also is the school athletic director, overseeing sports for Pre-K to 8th grade. In everything Ms. P does, she brings teamwork into focus so that each of her students can achieve success as a student and a person. When she came to Rousseau McClellan in 1999, it was to re-energize the middle school program. At the time, the 23-year-old idealist knew that team building and character development were at the heart of growing the school’s middle school program. That’s when she implemented extended field trips in the fall and spring to work on both of these important focuses. 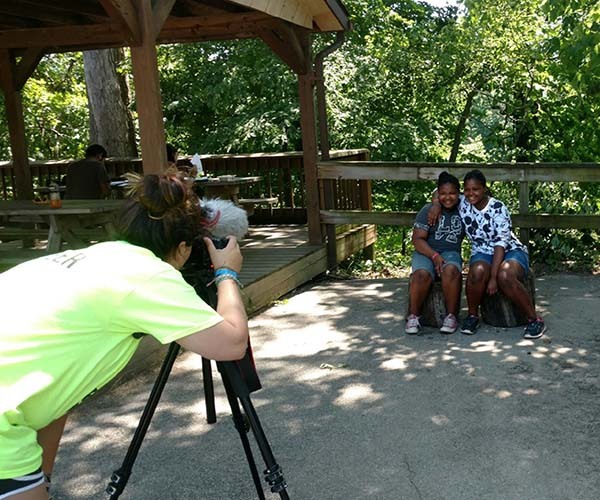 During these field trips to YMCA Camp Tecumseh, the students and teachers bond in ways that cannot happen in the classroom and Ms. P watches her students grow together and individually as they develop self-confidence, communication, and leadership skills. After each field trip the Rousseau McClellan community is always stronger, and this strength of community allows for a better educational experience. Ms. P believes each child is a unique individual who not only comes to school to learn academic subjects, but also for emotional, physical and spiritual growth. Her students notice her dedication to helping them each become the best person possible. Each child I interviewed after Ms. P was awarded the 2016 Education Champion Award noted how devoted she was to helping build their grades and their confidence. 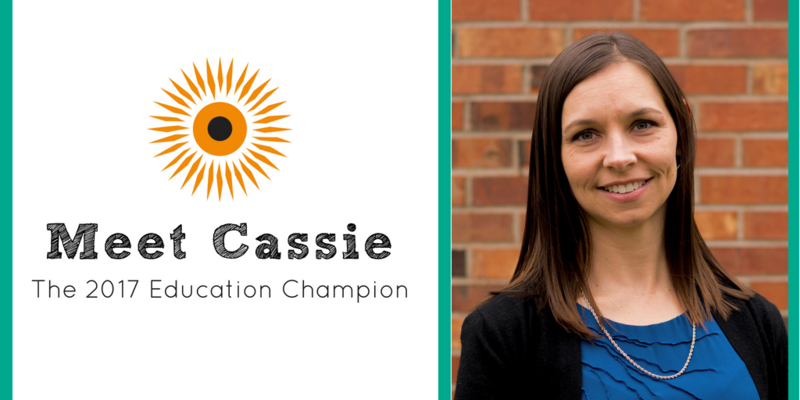 It should come as no surprise that Rebecca Pfaffenberger is using her $1,000 Education Champion Award to offset the cost of the next field trip to Camp Tecumseh for her students. We love being able to honor teachers just like Ms. P and support the amazing work they are doing to champion education in Indiana. Want to learn more about Ms. P? Check out her video interview here! Do you know an inspiring youth worker? Nominate him or her for the 2017 Education Champion Award!